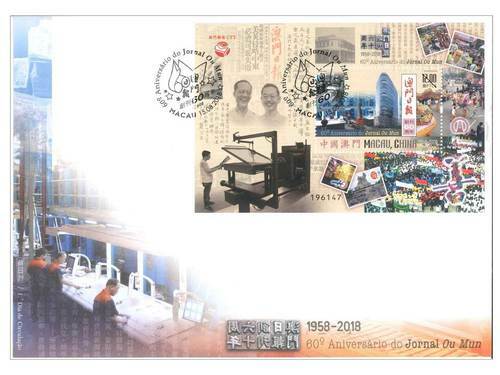 Stamp Issue "60th Anniversary of the Publication of Macao Daily News"
Macao Post and Telecommunications Bureau will issue the stamp theme “60th Anniversary of the Publication of Macao Daily News” on 15th August, 2018. 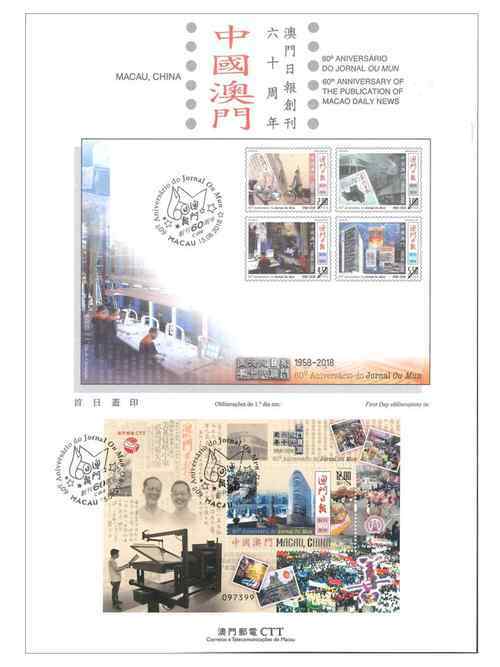 Macao Daily News was founded by Mr. Lei Seng Chong on 15th August 1958. 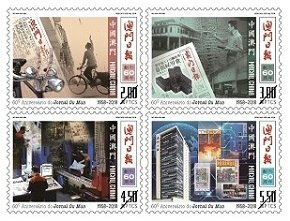 As a newspaper founded in Macao, Macao Daily News aims to promote patriotism and Chinese culture. At the beginning, the newspaper used black and red ink letterpress printing machine, and is now in full colour printing. 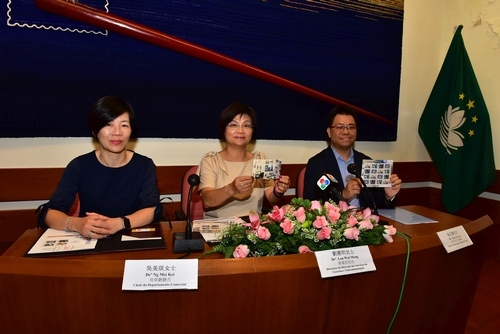 Macao Daily News introduces e-newspaper, mobile instant news and a news channel, in the hope of making news stories ‘livelier’. 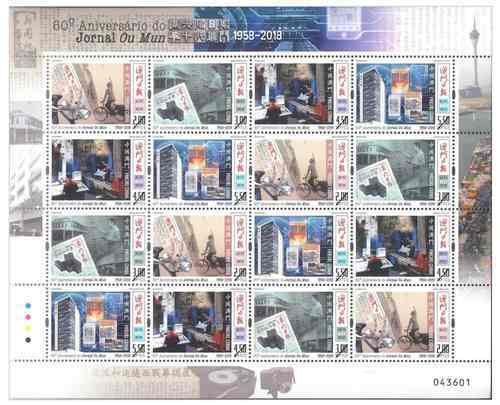 It also has a news page on WeChat, the most influential information platform in China in order to broadcast Macao news to its readers at home and abroad. Macao Daily News setting up the “Charity Fund From the Readers of Macao Daily News”, the annual ‘Walk for a Million’, being Macao’s biggest charitable event, mobilises kind-hearted parties from all walks of life to raise money for the weak and the poor. It also organizes the “Visiting Delegation of Outstanding Students” each year for students with academic excellence to visit different Chinese cities in order to deepen their understanding of their motherland and cultivate their sense of belonging. 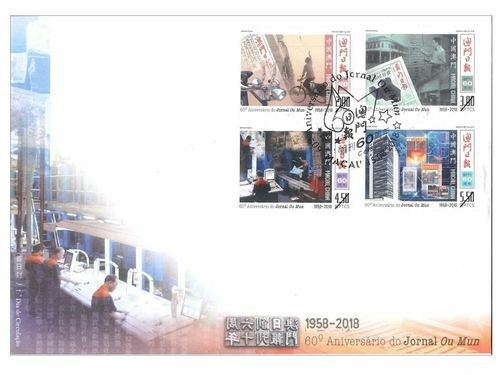 This issue includes a set of four stamps and one souvenir sheet, illustrating the moments of the Macao Daily News throughout its 60 years. 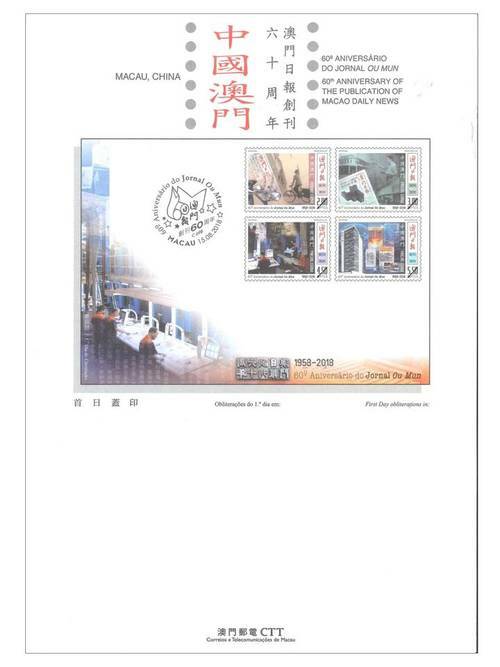 The stamp designer of this issue is Mr. Ng Wai Kin, and the text of the information brochure is written by Mr. Lok Pó. This is the eighth theme in 2018. 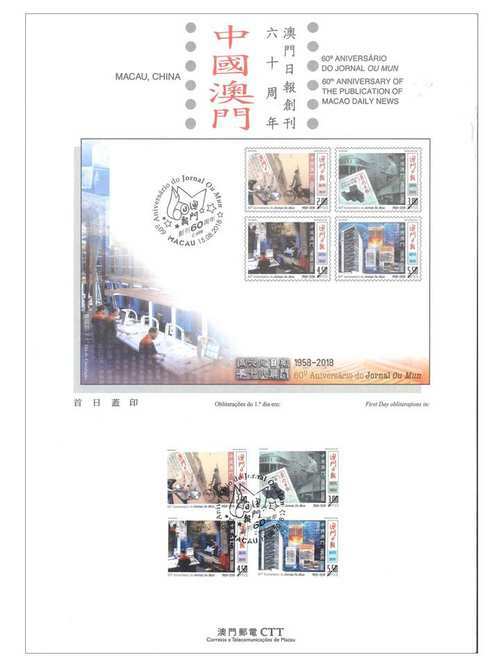 The previous issued stamps are “Lunar Year of the Dog” on 05/01/2018, the label stamp “Lunar Year of the Dog” on 31/01/2018, “Macao 2018 – 35th Asian International Stamp Exhibition (I)” on 01/03/2018, “Mainland Scenery VII” on 12/04/2018, “Classic Fables and Tales” on 30/05/2018, “Joy” on 26/06/2018, “Chapas Sínicas (Chinese Documents)” on 06/07/2018, and “Masters of Chinese Literature – Tang Xianzu” on 27/07/2018.